Compass Assurance is a Queensland based compliance and standards practice. Learn more about how they use WorkflowMax to manage their remote team and analyse their business performance through the software's powerful reporting functionality! User Stories is a regular column on the WorkflowMax blog where we talk to businesses who are using WorkflowMax to manage their projects and improve workflows. We get a company to walk us through their workflow process and explain how they use different features. Every company is different, and every firm has different methods and processes for managing their projects. By taking a look at what others do, we hope you’re inspired and gain an understanding of how WorkflowMax could work for your own business! Welcome Paul! Tell us about your company. Who are you, and what do you do? 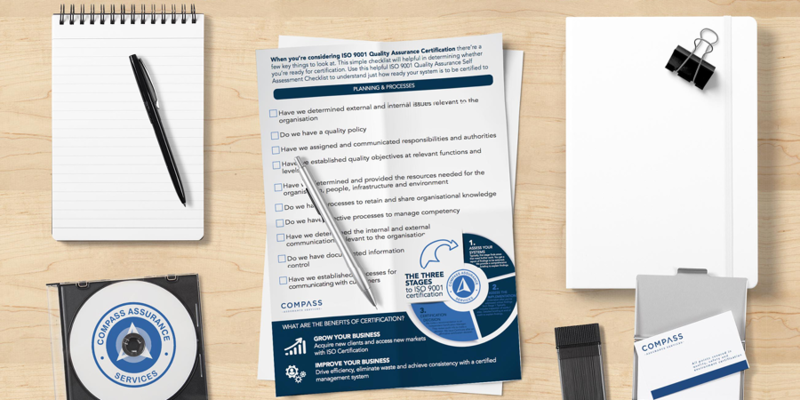 Paul: Compass Assurance is an accredited conformity assessment body. What that really means is we audit and certify companies to international and national standards including ISO9001 Quality, ISO14001 Environment and OHSAS18001 and AS/NZS4801 Safety. Paul: Well, work with all sorts of clients! That’s part of the reason it’s such an interesting business! But it’s primarily organisations who do business with government or export. Paul: We have a mobile workforce who don't come to head office often so whatever system we chose needed to be easy to use from wherever our team was. We also had a range of internal and external processes that needed to be managed with critical steps and needed a robust project management software that would cater for this. What was the most important factor to you when choosing your project management software? Paul: For us the main considerations were price (had to be reasonable), the user interface (simple and easy to use), whether it was scalable and the integration with other systems like Xero (in this case, super easy). Paul: Xero for accounting and Box for document control. WorkflowMax integrates a range of document management systems. Want to know more? We wrote all about it in this mega blog post: How To Collaborate On Document Management In WorkflowMax. And if you’re a Xero user interested in finding out more, why not have a read of The Best WorkflowMax Features For Xero Users. Paul: Once a client is engaged we conduct multiple audits that take them through the certification phase. Each audit is recorded as a specific job and is billed, tasked and managed separately. At the conclusion of each job with the client, there are a number of key internal processes that must take place (like issuing a certificate). These are managed as tasks by our admin team. Paul: We make lots of Revenue reports, Job reports, Work by Staff reports and more. WorkflowMax Reporting adds financial firepower to your business. Find out more about the kinds of reports you can create, or how other businesses use reporting to boost their business. Paul: We love its flexibility, price and the CRM is the simplest and best I have worked with! Thanks Paul for talking to us about how you use WorkflowMax! If you’re running a company using WorkflowMax and want to talk workflow with us, then drop us an email – we’d love to hear from you. Already convinced? Try it out for FREE yourself!